When a young Zambian mother, Zimthambo Musianga, felt the onset of labor, she went into the hills to find an ox cart to take her to the hospital. But with the nearest clinic miles away from her remote village in the rural district of Lundazi, the ox cart wasn’t going to get her there in time. After being bumped along a dirt road over rough terrain, she had no choice but to give birth right there in the cart. Thankfully, the 25-year-old mother and her baby survived the ordeal, but many others won’t be so lucky in a country where one in 79 women will die giving life. While efforts to bring down maternal deaths have shown progress, globally, 830 women still die every day from pregnancy-related reasons and more than half of these women live in sub-Saharan Africa. Less than 60% of all women from rural Zambia deliver their babies in clinics or hospitals. And half of all Zambian women who give birth live further than 25kms or 15 miles from facilities that offer basic emergency services. For many women like Zimthambo, long distances, transport problems and dirt roads make access to health facilities extremely difficult, and the odds of something going wrong are still alarmingly high. To help more women deliver in a quality clinical setting, where the chances of a good outcome for both mothers and babies are far greater, Zambia has built mothers shelters, also known as maternity waiting homes, near these facilities. The shelters allow women to check in during the final weeks of pregnancy and for some days after giving birth. This solution for pregnant women has been around for decades in many remote communities around the world, from Zambia to Liberia, Laos to Mongolia, Papua New Guinea to Nicaragua, and from Cuba to the U.S (namely Alaska). A maternity waiting home may sound like a simple solution for women living in remote areas, but the model is not an easy one to perfect. Not all endeavors have led to women using these homes – or indeed to more women delivering in health facilities, which is their prime purpose. In fact, a recent study of maternal waiting homes in 17 countries showed that women would not use maternity waiting homes unless they offered culturally appropriate, high quality and affordable services. The experience in Canada and Australia highlights some of these challenges. For example, efforts to bring indigenous women closer to health facilities by using shelters have been controversial, partly because of perceived insensitivity to traditional beliefs about childbirth. Because the land is so central to the spiritual and cultural identity of the indigenous community, it can be traumatic for a woman to move far away from home to give birth, especially with the loss of support from family. Now, in Canada, attempts are being made to bring local birthing centers closer to Inuit women. In Cuba, maternity waiting homes for women with high-risk pregnancies have helped bring down maternal deaths. And in several African countries, including Malawi, Liberia, Ethiopia and Zambia, they have shown promise. Still, there are many unanswered questions. Can they actually help prevent women from dying in childbirth? How can they best meet women’s needs and stand out as an attractive option for them? And how should they be run and financed? 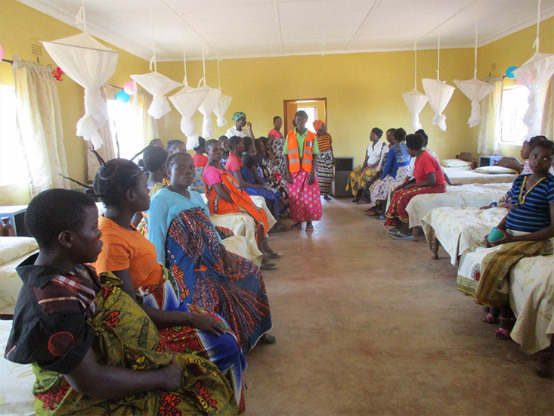 Joining forces with the Bill & Melinda Gates Foundation and the ELMA Foundation, Merck for Mothers formed the Mothers’ Shelter Alliance in 2015 to examine and improve the shelter model in Zambia. The Alliance is part of a public-private partnership called Saving Mothers, Giving Life, a wide-ranging endeavor to bring down maternal deaths in Zambia and Uganda that has made significant progress so far. The Alliance is hoping to answer the long-standing question of whether shelters can be an effective and sustainable solution to the problem of distance, which is what stands in the way of rural women getting timely access to quality health care. 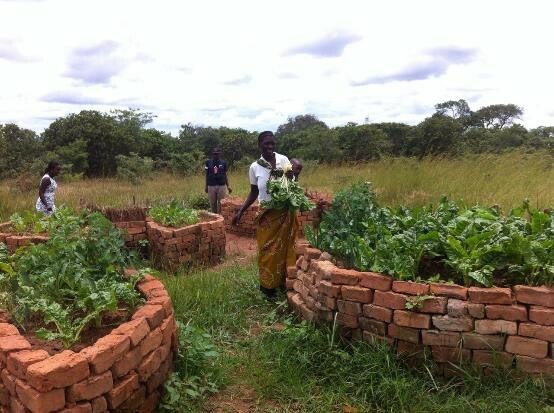 One Merck for Mothers-funded study in two districts in southern Zambia – which helped inform the development of the Mothers’ Shelter Alliance – found that many of the shelters were in poor condition, of varying quality, and offered only the most rudimentary of services. But the research also showed that health facilities with mother shelters saw more deliveries and concluded that women were more likely to give birth in a facility if the nearby waiting homes were of higher quality. Another study showed that Zambian women would be prepared to pay for shelters if they received basic but important services like water, lights, bedding and food. These studies, backed by other research, show that quality mothers’ shelters can be an important part of a multi-faceted strategy to improve maternal health care and bring down maternal deaths. But we need more of them; and if they are to attract pregnant women in large numbers, they must be well run, well resourced, financially sustainable and sensitive to the prevailing culture. 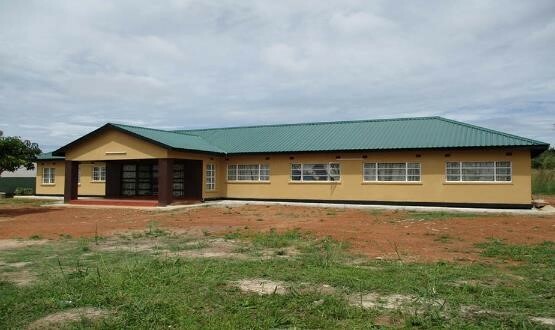 The Mothers Shelter Alliance has now built and revamped 24 shelters in Zambia, which are linked to quality health facilities upgraded by Saving Mothers, Giving Life. So far, 4,000 women have stayed in these shelters and an encouraging 10,000 women have delivered their babies in the improved health facilities. The Mothers Shelter Alliance has also put in place mechanisms to ensure that the communities run the shelters themselves and that they cater to local needs. Community-elected governing committees, together with health facility staff and shelter managers, are now deciding how best to manage them for the benefit of their wives, mothers, sisters and friends. For these shelters to be successful, they must be sustainable too. The Alliance is empowering communities to run them by helping introduce creative entrepreneurial activities to financially support the shelters’ running costs. Thanks to these well-run shelters, which are clean and spacious, with separate areas for sleeping, cooking and bathing, mothers and their newborns are going home in good health, instead of finding themselves in perilous circumstances, as Zimthambo did. They are also returning home enriched by new friendships, information on healthy post-birth practices and new skills to generate income at home for their families.